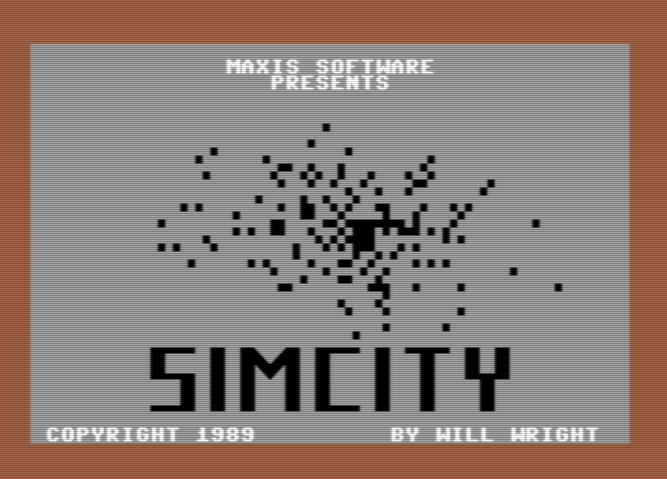 Sim City simulation where you create and manage your own city was originally programmed by Will Wright on his Commodore 64 back in 1986 (33 Years) but it was released for C64 in 1989 with other versions by several publishers Maxis, Infogrames, Brøderbund. It is interesting that published game fit to was standard 1541 disk and on one side only. 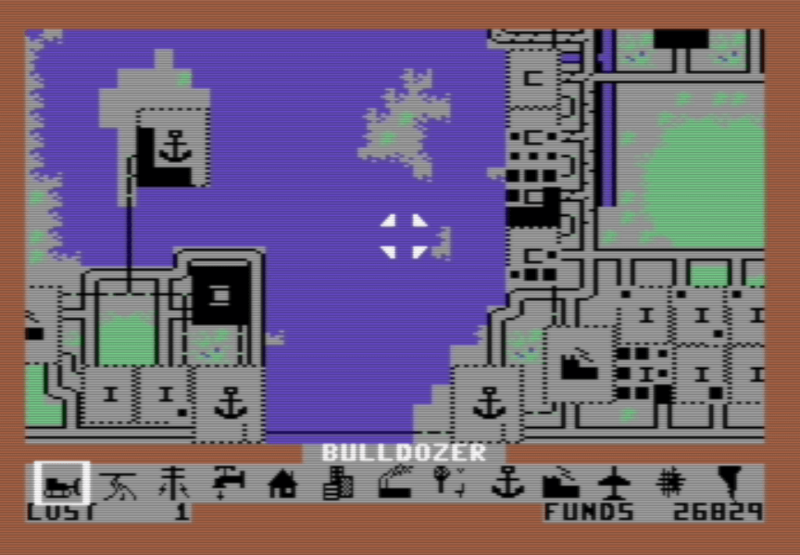 In respect to that all pictures are from Commodore 64 only. Amstrad CPC, Apple Macintosh, C64, PC (DOS), ZX Spectrum. Very soon followed other ports and later in 1990 for Acorn BBC Micro/Electron, Atari ST, Fujitsu FM Towns, NEC PC-98, Sharp X68000 and success continued in 1991 with Amiga CDTV, PC (Windows 3.x) and for Acorn Archimedes in 1993. By 1992, the Sim City game would sell a million copies. 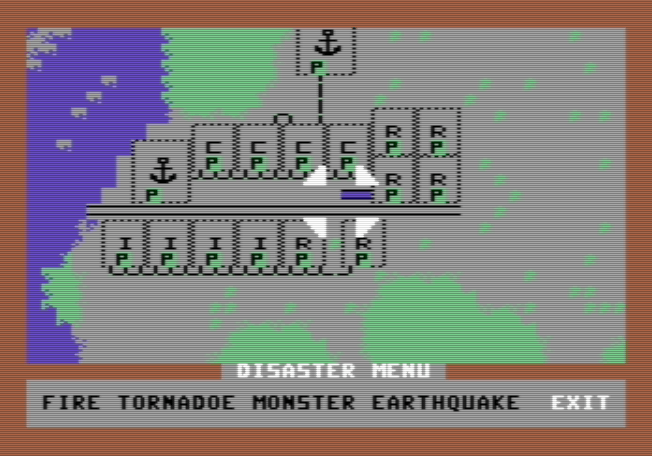 Judging on Commodore 64 version, by 1986 standards game was perfect. But judging by 1989 standards it could be even better. 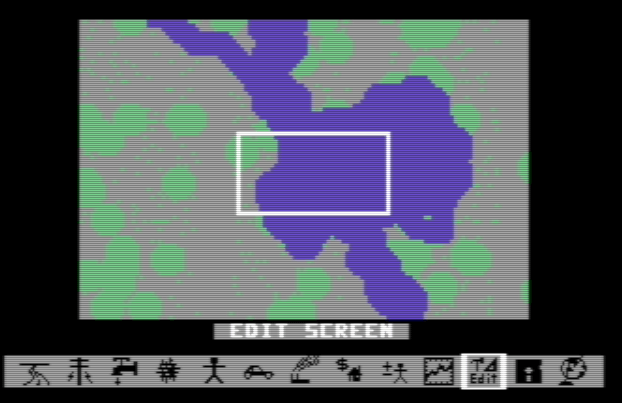 3 years are a lot and if we compare later version ie ZX Spectrum, Amstrad, BBC we se more polished gui and better graphic. 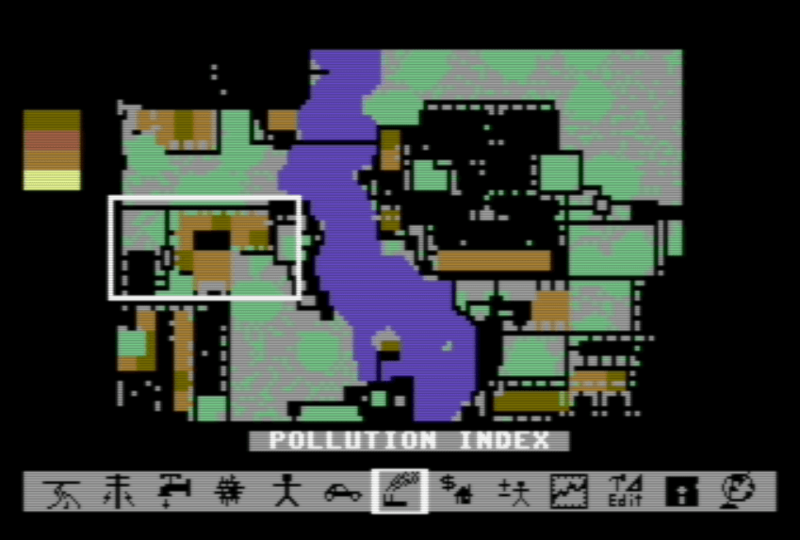 By today standards graphic on Commodore 64 was very basic, but all needed elements for hours and hours of fan are there, you have statistic charts and game was even friendly to nature, yes pollution index is also there. I am presently surprised what you can fit on half of one disk (or one side), not to mention that game does not reads or write constant to disk, game is not slowing down at all, there are some animation of road traffic and sometimes you see animated plane and all that fit in 64KB of Commodore 64 or 48K in Sinclair ZX Spectrum. Try it. You will start as City Manager with only 4000$ of funds, and yes you can put power line under sea, or even bridge over sea is possible.